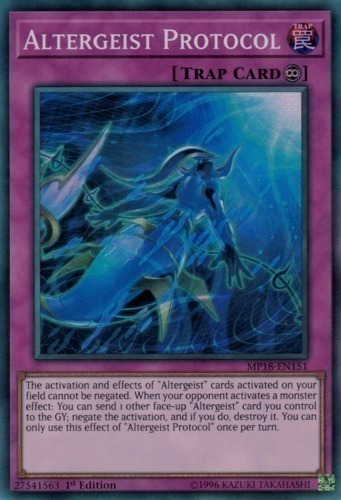 Text The activation and effects of "Altergeist" cards activated on your field cannot be negated. When your opponent activates a monster effect: You can send 1 other face-up "Altergeist" card you control to the GY; negate the activation, and if you do, destroy it. You can only use this effect of "Altergeist Protocol" once per turn.